After four wintery years for Russia's auto industry, sales rose in 2017 and are forecast to steadily improve in the coming years. Mazda's Joerg Schreiber is a veteran of the Russian car market, yet even he cannot recall a time like the present. Instead of the usual cycle of boom and bust, the Japanese automaker's top regional executive sees slow, steady - almost predictable - economic growth. "I've been here for some years now and I can't ever remember such a period of stability," the Mazda Russia boss told Automotive News Europe. "Consumer inflation is at a record low in the post-Soviet era." Schreiber, who is also chairman of the AEB Automotive Manufacturers Committee that compiles data on the local car market, hiked his 2017 forecast in October to 1.58 million vehicles, an 11 percent overall gain on 2016, and sees further increases this year. The slow, steady growth is good news for automakers such as Renault-Nissan, which expects the market's sales to rise to 1.8 million in 2018, and its Russian subsidiary, Lada maker AvtoVAZ, as well as Hyundai and sister brand Kia. These three dominant players are poised to profit most from the upswing. Renault CEO Carlos Ghosn has even made Russia the cornerstone of his midterm growth plan presented in mid-September: "We plan to double Lada sales in Russia by 2022, while bringing AvtoVAZ profitability to group level and increasing Renault brand's market share to 10 percent." 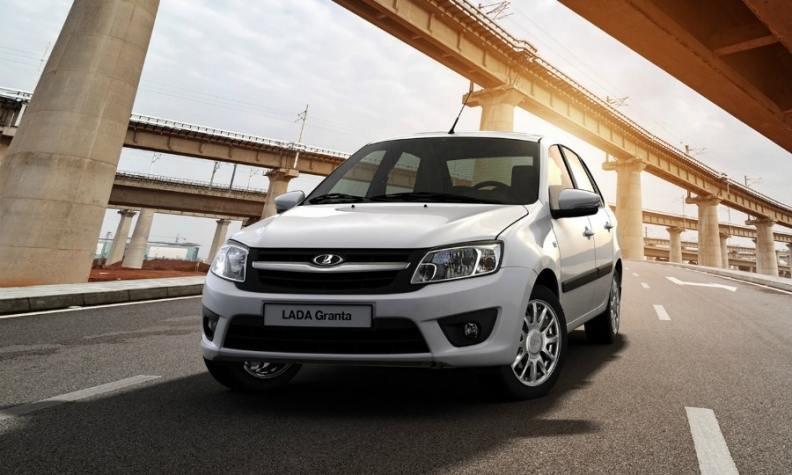 Led by the Granta, shown, Lada's Russian sales were up more than 15% last year. Lada aims to double sales in its home market by 2022. Things looked different only a year ago when the Russian new-car market fell to its lowest level this decade. Money-losing AvtoVAZ was in rough waters and needed a further cash injection from Renault to fix the holes in its balance sheet. Top heavy from overhead costs, the company's Lada brand – named after the maneuverable single-mast river boats used in battle by the early Slavs – looked like a ship destined to sink to the bottom of the Volga. Renault, with limited options after having already poured billions into its Russian investment, subscribed to a rights issue and ended up controlling more than 50 percent of AvtoVAZ's stock in late 2016. Accounting rules required it to fully consolidate AvtoVAZ results in its income statement as of 2017, which threatened to spread the Russian subsidiary's problems to Renault and by extension to alliance partners Nissan and Mitsubishi. Fortunately, the newfound economic resilience based on a stable ruble and low inflation has encouraged Russians to spend again, Mazda's Schreiber said, and a rising tide lifts all boats. While AvtoVAZ still forecasts red ink for 2017, a 16 percent gain in new-car sales through October means it could finally return to the black this year. A rejuvenated lineup financed by Renault and led by the Lada Vesta and Granta sedan will help. Perhaps more importantly, AvtoVAZ's massive plant in Togliatti, southern Russia, is humming again, manufacturing half of all Renault brand vehicles for the domestic market as well as producing five Lada model lines plus vehicles for sister brands Datsun and Nissan. "Deep local integration is the key to competitiveness and this has been made possible thanks to the combined volume of the global Renault-Nissan-AvtoVAZ alliance in the country," said Denis Le Vot, chairman of the Eurasian region for the French automaker. The timing is fortuitous as car companies prepare for the biennial Moscow auto show. Some are even beginning to invest again. Mercedes-Benz is building a plant, its first in the country, on the outskirts of Moscow at a cost of more than 250 million euros. There the German premium brand aims to weld, paint and assemble more than 20,000 sedans and SUVs annually, starting next year with the E class. 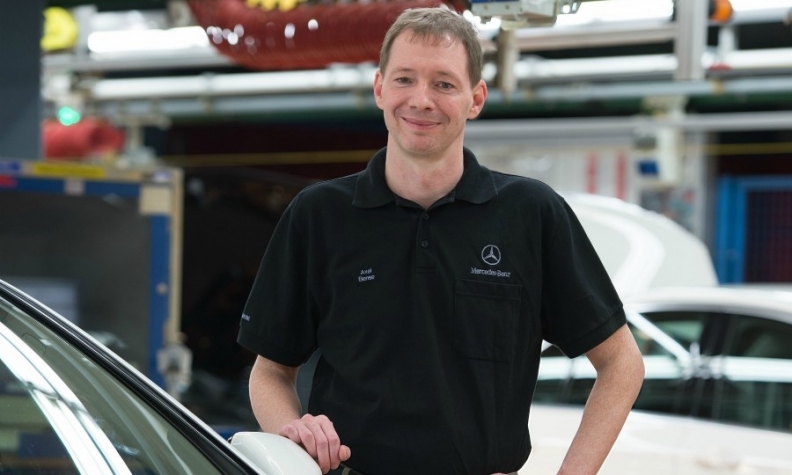 Mercedes is building a car plant in Russia that will be run by Axel Bense. Production is set to start with the E-class sedan in 2019. PSA plans to begin assembly this quarter of the Citroen SpaceTourer/Jumpy and Peugeot Traveller/Expert vans. "It is essential to expand the ranges of the Peugeot and Citroen brands as the market recovery begins," said PSA's Christophe Bergerand, operations director for the region. "This is the first step." The van will be made alongside the Citroen C4 and Peugeot 408 sedans at a factory in Kaluga, Russia, that is jointly operated with Mitsubishi. The Japanese automaker added production of the Pajero Sport SUV last November after a two-year hiatus. When the new-car market peaked at 2.94 million in 2012, the top 10 brands all sold 100,000 cars or more and were led by Lada at more than half a million. Behind it there was a relatively close field of competitors including a trio of traditional European brands in Renault, Volkswagen and Skoda as well as Ford and Chevrolet from the U.S. and four Asian manufacturers led by Hyundai and Kia. What followed, however, were four tough years for Russia's auto industry in which volumes more than halved to less than 1.43 million in 2016, the worst result in more than a decade. Ford and Chevrolet had dropped out of the top 10 by then while Opel already exited the market. Among the carmakers that best survived this prolonged sales drought were Hyundai and Kia, thanks to the huge success of their locally built models. The sporty Hyundai Solaris, which is based on the Accent and borrows the looks of the RB concept from the 2010 Moscow show, has a bigger battery for cold starts as well as 4 liters of wiper fluid to wash off all the slush and sediment during snowy driving. In six short years, the Solaris advanced from an all-new model to Russia's best-selling car in 2016, eclipsing even Lada's main workhorse and four-time No. 1 model, the Granta. While the Solaris lost the No. 1 ranking last year, Hyundai-Kia can take comfort from knowing the Kia Rio was poised to rise to the top spot based on 11-month sales. What the Solaris and Rio share is their origin – each is built in the group's St. Petersburg plant. It is one of the first full-scale manufacturing facilities by a foreign automaker in the country, all the way down to the blanking and stamping of coiled sheet metal to ensure a higher quality and better control of costs. Along with steel distributor Hyundai Hysco and parts producer Hyundai Mobis, the Hyundai-Kia succeeded in getting 11 of its Korean suppliers to invest in nearby component plants to guarantee a high level of localization. With the Creta SUV added in 2016, the three models built in its St. Petersburg factory account for a little more than 14 percent of Russia's new-car sales. "Hyundai and Kia invested a lot during the crisis, were very aggressive in their marketing and bought market share not just in terms of incentives but dealer points and presence," said Tatiana Hristova, Russian market analyst for IHS Markit. Ultimately, however, the market is still dominated by Lada and Renault, which control a combined 28 percent share of the market. This number rises to 36 percent when sales from alliance siblings Nissan, Infiniti, Datsun and Mitsubishi are included. Renault also promises to continue propping up Lada. If there were any residual concerns that Renault might slowly starve Lada of investment in order to turn AvtoVAZ into an extended production base churning out alliance-branded products, Ghosn put that to rest last September. His management team told reporters Lada would continue to spearhead Renault's operations in the country and pledged to maintain the brand's 20 percent share of the domestic market going forward despite increasing competition. Part of that will come from new product. 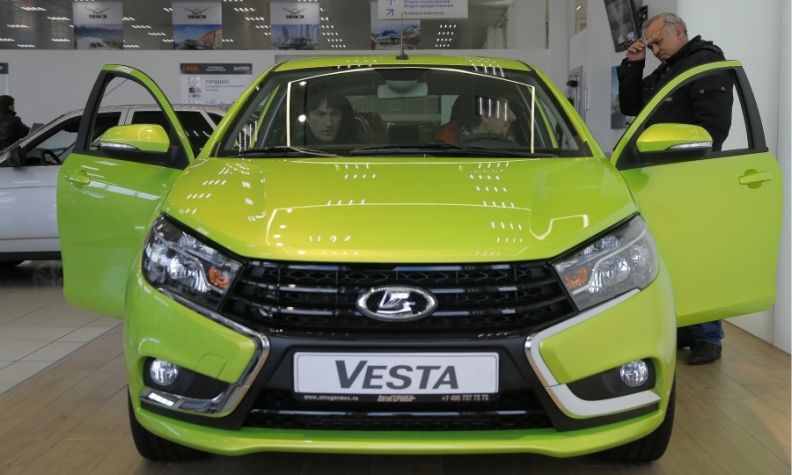 Launched in 2015 and built in Izhevsk in the Western Urals, the Vesta sedan is the No. 3-selling car in Russia behind the Granta despite being 50 percent more expensive than its sibling. Not far behind the Vesta at No. 8 in the sales ranking is the X-ray. The crossover is the first totally new Lada to be produced on a Togliatti assembly line since 2004. Renault, meanwhile, had a hit with the Kaptur crossover, which borrows the European styling of its sibling (sold as the Captur in Europe) but shares the Dacia Duster's same B0 subcompact platform that underpins models for emerging markets. Renault says the small SUV was engineered to cope with the harsh terrain and poor road conditions found in Russia. The upgrades include 200mm of ground clearance (up from 170mm for the European Captur), heavy-duty suspension and all-wheel drive. "All this will position Russia as one of the key growth levers of the plan," Renault’s Le Vot, said. 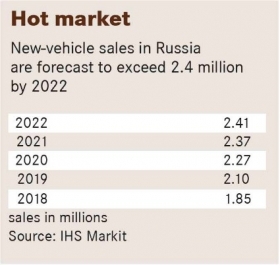 If all goes well, Russia will become the Renault Group's single-largest market by the end of the 2022, eclipsing even France that currently comprises a fifth of its overall sales. The Vesta sedan is the No. 3-selling car in Russia behind the Granta. Even if they stand to gain less from the rebound in the market, other automakers are also coping better. After losses executives said were in the hundreds of millions in the past few years, Volkswagen Group expects the VW brand will have finally broken even last year, in part because of the ruble's recovery. IHS's Hristova is counting on VW's smaller German rival, Opel, to return with models such as the Crossland X and Grandland X crossovers, which share their platforms with vehicles from new owner PSA Group. Opel CEO Michael Lohscheller didn't rule out a return to Russia for his struggling carmaker. GM might one day do the same, Hristova said, even if it may take many years before the U.S. carmaker can rebuild trust among dealers angered by its abrupt decision to pull out of the market in 2015. GM does retain a presence in Russia, though, via a minority stake in a joint venture in Uzbekistan that rebadges Chevrolets for tariff-free export to Russia under the newly created Ravon brand. The big mystery in Russia has been Ford's failure to gain traction. Despite a joint venture with local partner Sollers and a local manufacturing base that includes three car assembly plants in Russia, Ford has struggled. Its market position went from third in 2009 to 10th today as sales of the once-popular Focus compact tumbled. "The Focus was once the Russian national car, but Ford was too late with B-segment [subcompact] cars, and this niche was taken up by the Hyundai Solaris, Kia Rio and Lada Vesta," IHS's Hristova said. During the crisis, Ford Sollers was forced to make "severe and aggressive" cost cuts in its factories, including firing staff, its CEO, Adil Shirinov, told Automotive News Europe. Now Ford Sollers is rehiring staff as sales of its SUVs and Transit van climb. Ford will be profitable again in Russia this year, Shirinov said. He plans to overtake local automaker GAZ to become the leading van maker in the country, up from No. 2 now, in "one to two years," he said. He also said it is crucial for Ford to get back into the top five in the country's vehicle sales. "Otherwise, we won't exist," Shirinov said. The road to reach this point was anything but smooth for automakers. 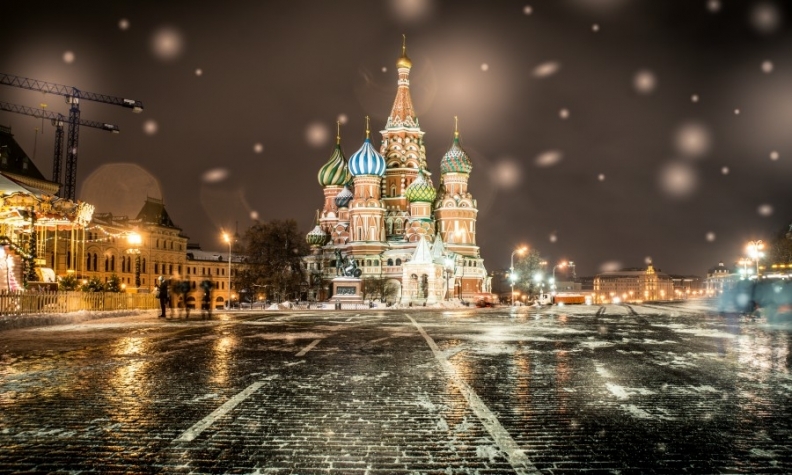 After burning through much of its foreign exchange reserves to support the ruble amid economic sanctions and plunging oil prices, Russia's central bank eventually had to let the currency float freely at the end of 2014. The subsequent sharp depreciation in the currency forced Mazda to hike prices of cars such as the CX-5 multiple times and by almost 50 percent in total – nothing unusual at the time, Mazda Russia boss Schreiber said. Highly attuned to financial developments, Russians panicked early on and consumer confidence was "completely shattered," he said. Even today, many still shift their money between two to three different bank accounts denominated in various currencies to protect their savings from another ruble plunge. Leading indicators suggest the economy has since adapted to a permanently lower price for oil and gas, Russia’s most vital exports. Although it was painful at first, a freely traded ruble has made the country more resilient over the long term. "The Russians have been preparing for that for many years, but it is always a dangerous step," Schreiber said. "Under the surface, there are real fundamental changes in government and monetary policy that were forced by circumstances." He now believes he can at least double his dealers' throughput in the next three years. With the newfound stability symbolized most by the low inflation and steady ruble exchange rate, the decision Mazda made to invest in a new engine plant in Vladivostok, eastern Russia, looks like it will pay off handsomely for Schreiber. It's yet another sign that Russia's boom-to-bust rhythm might finally be over.